 Fort Wayne, IN – Big Brothers Big Sisters of Northeast Indiana received a grant from the Kohl’s National Giving Program. 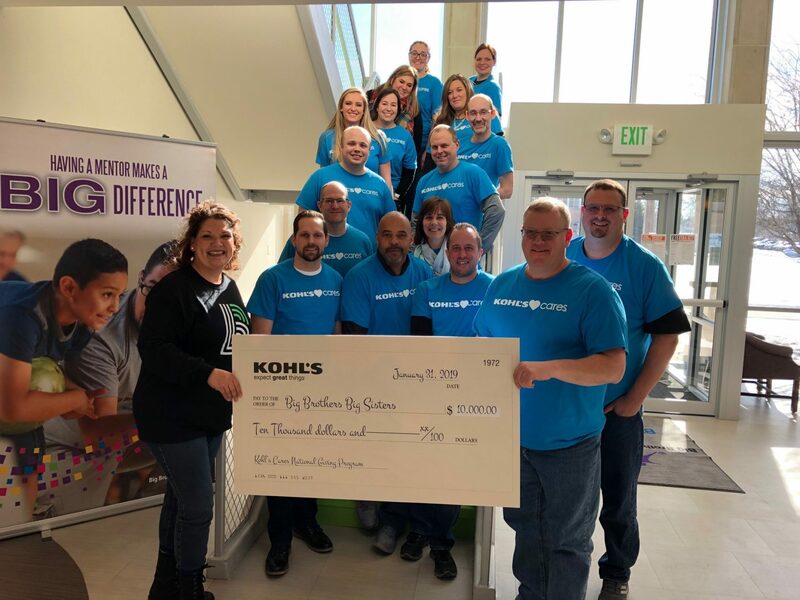 On Thursday, January 31, 2019, the area Kohl’s District and Store Managers gathered to present a $10,000 donation to the Agency. As part of its national giving program, the company awarded $3.2 million in grants to more than 300 nonprofit organizations across the country that work to improve the health and wellness of children and families. 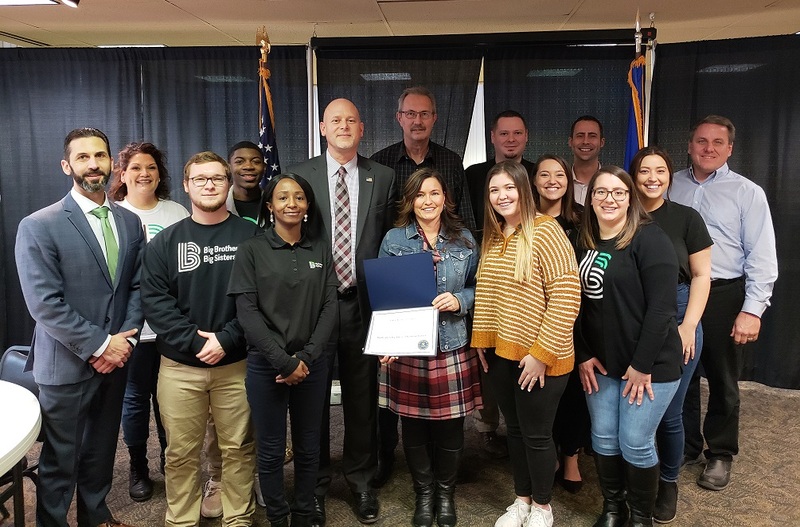 Big Brothers Big Sisters of Northeast Indiana was nominated by local associates and chosen to receive funding for their mentoring programs in their 12-County service area. “Since 2007, the Kohl’s Cares Program and Associates have made significant impact within our Agency. They have volunteered countless hours to provide grants that financially support our mentoring programs, match activities and provided opportunities for growth, especially when we needed it most. Kohl’s tells us to “Expect Great Things”- they just don’t say this – but live it. We are humbled by their generosity and thankful for this continued partnership. We look forward to working together for many more years to come.”, said Shelley Schwab, Development Director.